A noted German philosopher named Immanuel Kant wrote in his paramount work What is Enlightenment this beautiful statement: Sapere Aude (Dare to Know!). 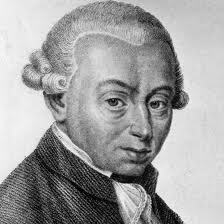 Kant is not joking here (Though his face is actually a joke in our class). What one needs is to dare someone in expense of knowing something, mainly on behalf of Truth that takes many appearances such as Forms (Plato), God/Greatest Conceivable Being (Medieval) and Cogito (Descartes). Thus, Introduction to Philosophy serves as a study guide on how to examine Truth or should I say truths. We will be answering questions such as: What is Man, Does God exist, How should I live, Do I have a duty to others and many more. I am always repeating in the class the famous choice one man can made in his life: if I have the Truth in my right hand and search for truth in my left hand what will you choose? Some of you might go for the right while some of you might go for the left. This will venerate another question: what will be the con sequences of that choice. Same scene occurred when Neo (The Matrix) was compelled to choose either blue pill or the red pill (whether to live in the Matrix or live outside of it). In this class, you should choose which pill you will drink. What if there is no need for a man to choose? Or if since the start of everything he owns the Blue Pill (Truth)? Does Truth makes one happy or not? Or would man will search the Red Pill or in other words, will man invent a lie in order to avoid the truth? Either/or, that's your choice (not mine).